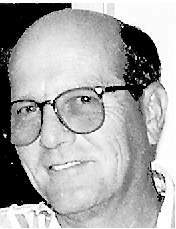 John Paul Close of Pineville, Oregon died on 25 December 2008. John served on USS Tiru (SS416) as a CommissaryMan. He also served on the USS Archerfish SS-311 (qualifying boat), USS Pickerel SS-524, USS Halibut SSN-587, USS Sargo SS-583, and the USS Enterprise CVN-65 on which he completed two tours in Vietnam. After leaving the navy he worked for over 30 years at Foss Shipping as a chef on tugboats running between Puget Sound and Alaska. John was born 5 January 1946 in Portland, Oregon; the son of John and Edna (Hixson) Busby. He is survived by his daughter Lisa and son Craig.